In the summer of 1955, Emmett Till, 14, traveled south from Chicago to spend the summer at his grandfather Mose Wright’s home in Money, Mississippi. Young Till would never return home alive, however, as he would be lynched for the alleged Jim Crow era capital crime of “being uppity,” an offense usually characterized by the perceived disrespect by a black man, woman or child to a white man or sexual advance to a white woman. On August 28th of that year, after allegedly whistling at Carolyn Bryant, a 21-year old white woman in a local store, Till, 14, was roused from sleep at his grandfather’s home by Bryant’s husband, Roy, and his half-brother JW Milam. The pair was accompanied by a cowardly, quisling black man who was charged with pointing Till out from among his other young cousins. Bryant and Milam then drove Till to an undisclosed location where they whipped him, gouged out one of his eyes and shot him in the head. They subsequently tied a cotton gin fan around Till’s lifeless corpse and dumped him into the Tallahatchie River. When Till’s grossly disfigured body washed ashore, some local whites immediately began the typical damage control of suggesting, first, that the same was the work of “communists” or the NAACP who were seeking to demonize the good white “Christian” citizens of the South. The problem with this outrageous lie was that Mose Wright would have none of it as he summoned the courage to point out his grandson’s attackers, a move that led to the arrest of Bryant and Milam. As for Bryant and Milam, the pair later admitted to their murderous act in “Look”magazine in 1957, but double jeopardy prevented their being tried for murder. In 2004, the US Department of Justice reopened the case, a move that led to Till’s body being exhumed and tested to determine that it was, in fact, him; the conclusion was that it was, indeed, Till. And while Bryant and Milam had long since died, in 2004, several individuals suspected in Till’s abduction were still alive–but no prosecutions ever ensued. 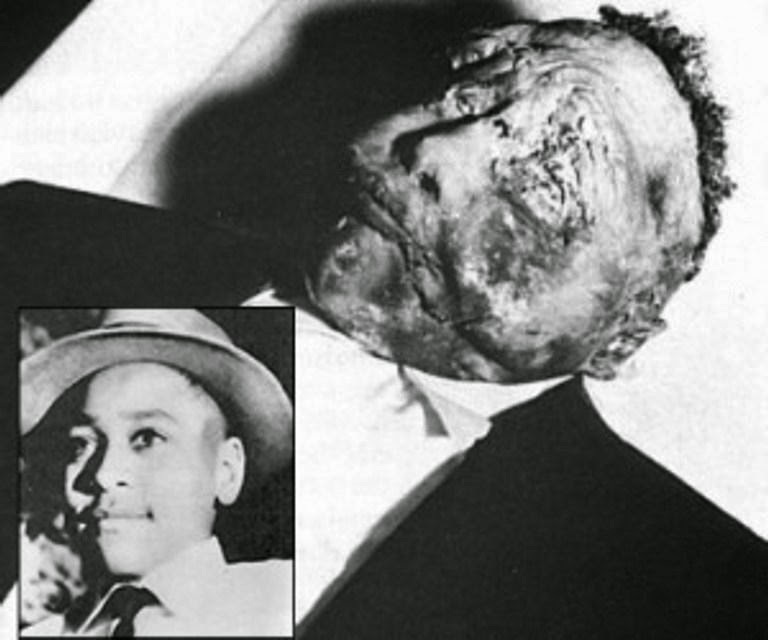 Lest we forget that “They” said that Till’s death was a “hoax” 62 years ago today. “They” not only included the poor, illiterate white men who were the foot soldiers of the Ku Klux Klan, but “They” also included the more respectable White Citizens Councilers and moderates who were the mayors, city commissioners, judges, police chiefs, teachers and preachers who reinforced separate, unequal and lawless black deaths by white mobs as the rule of law. “They” were patently evil, “They,” including many within the southern press, were horrifically mendacious, and “They” will never be able to live down what “They” and countless others like them did and/or are doing to reinforce the basic concept that in America, Black lives were expendable–and never mattered.